She deserves a halo! Jason Sudeikis revealed during Watch What Happens Live that Beyoncé surprised his and Olivia Wilde&apos;s son, Otis, with a gift on his 2nd birthday. "She sent him a signed photo for his second birthday though, which is pretty adorable," the Horrible Bosses actor, 41, told host Andy Cohen on Thursday, January 12. "His second birthday was a Beyoncé-themed party. It was great." 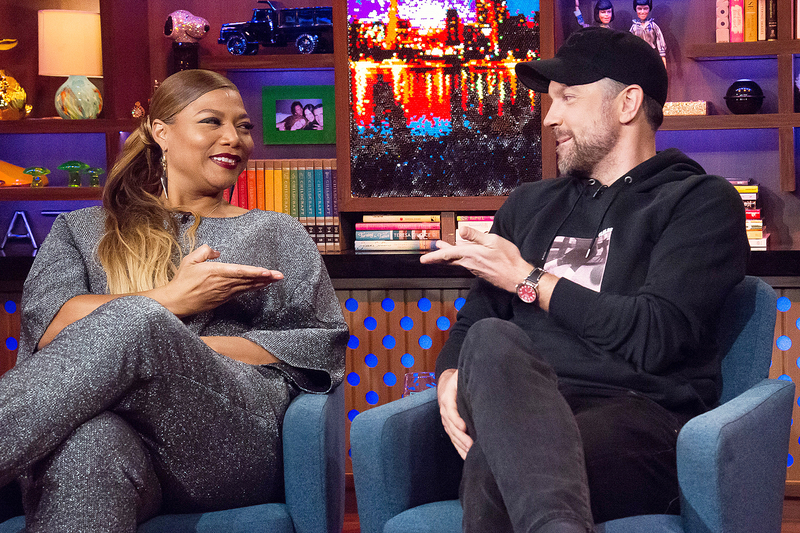 Sudeikis said that Otis has never met Queen Bey in person, but he does have a hilarious nickname for her — "Beyonce Boobies." Wilde, 32, who gave birth to Otis in April 2014, joked about their family&apos;s love of Bey during The Ellen DeGeneres Show in March. "You know how a lot of moms have on their iPads, like a kids show, like an appropriate-for-kids program, like an Elmo and such?" Wilde said at the time. "I didn’t and we were on an airplane and I needed — as many of you know — a distraction tool immediately and all I had was all of Beyoncé’s videos from her last album." But the obsession doesn&apos;t end there. Otis once tried to get a better look at Beyoncé during a basketball game in L.A.
"Beyoncé walked in and was sitting very far away on the other side of the Staples Center, court side. And Jason said, ‘Otis, do you see who that is?&apos;" Wilde recalled to host Ellen DeGeneres. "And he sat up and was like &apos;Beyoncé, Beyoncé!’ And he stood on Jason’s knees and just started going ‘Beyonce!’ And all these people were like, &apos;What is this 2-year-old doing?&apos;"
Sudeikis and Wilde&apos;s baby girl Daisy, 3 months, has a Beyoncé link, too. Back in October, the Saturday Night Live alum revealed that they had to cancel their Beyoncé concert plans because Wilde was having contractions. It turned out to be a false alarm and little Daisy arrived four days later.